Sundays are usually a supermarket run for me, and, aside from getting out of the house for a bit, it’s an opportunity to walk around, explore and examine packaging and products on the shelves. I saw these and stopped, because they were unlike anything else that was in the aisle. And that’s the point. So often we talk about the need to either follow design conventions established by the market leader, whether in iconography, typography, or color usage (notice, for example, that most colas are in red cans, following color standards established by Coca-Cola). On the other hand, there’s the opposite– the opportunity to lay stake to a segment of the market by differentiating from the rest of the pack. But a lot of times both approaches can miss the mark, either because of an overzealous approach to differentiating, or as a result of timidity and being afraid to actually be different. 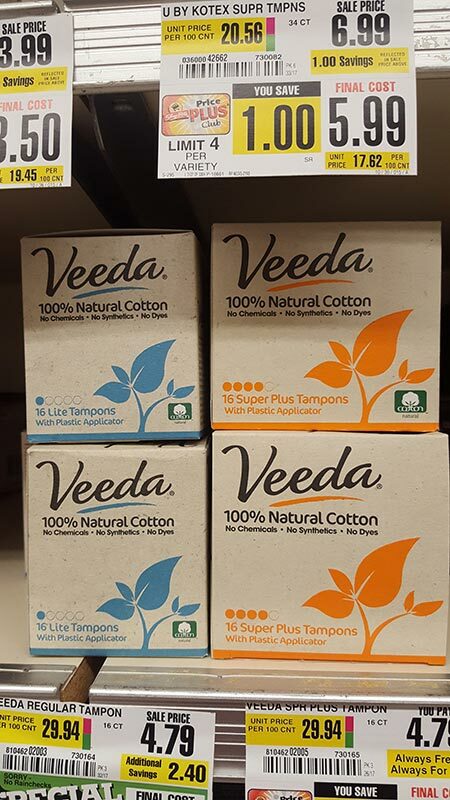 So I found the Veeda packaging to be refreshing. To me, it managed to accomplish both. It stuck closely to some of the conventions, while steering away from others. The look and feel of the typography definitely has an air of femininity to it. The use of a simplified plant illustration, the 3-color palette on kraft stock– a stark departure from the glossy, varnished, high-contrast color palettes that have become commonplace, suggests an earthier, planet-friendly product. Note: I checked out their website, and I found that affordable, planet-friendly products are an essential part of their story. 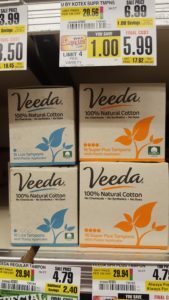 So, I say to the folks at Veeda– good job! You’ve managed to walk the line between common and uncommon, and made it look effective.